Keeping oneself safe is the most important point for any individual doing road construction, there are many aspects under safe, being visible to vehicles is from the most important - though anything can happen, for one vehicles can be passing the entire day (depending on location), therefore safety vests so one can be visible, are a must. 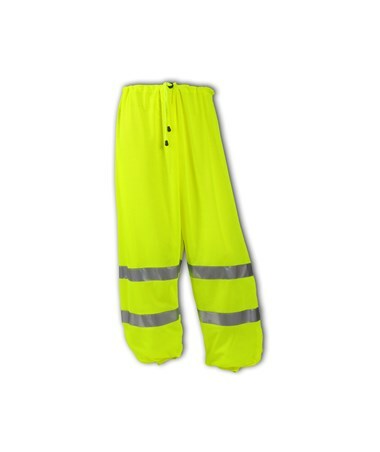 This Class E High Visibility Pants is a comfortable roomy mesh pants that will keep you visible in your work zone. Composed of 100% polyester mesh for excellent breathability, which also reduces moisture during warmer temperatures also designed with an excellent cut and material that stretches which allows you to move freely while you work. Fluorescent yellow - green outer shell with 2” silver reflective tape, along with its ANSI 107 class E rating of high visibility, provides reflective light for 360° nighttime conspicuity and will help you be distinguished in time of danger or to vehicles when working on the road during daytime and nighttime. Includes 2 side pass through openings, one exterior rear pocket, elastic waist with draw-cord and elasticized cuffs (with hook & loop side openings) which constrict to prevent dirt from entering. 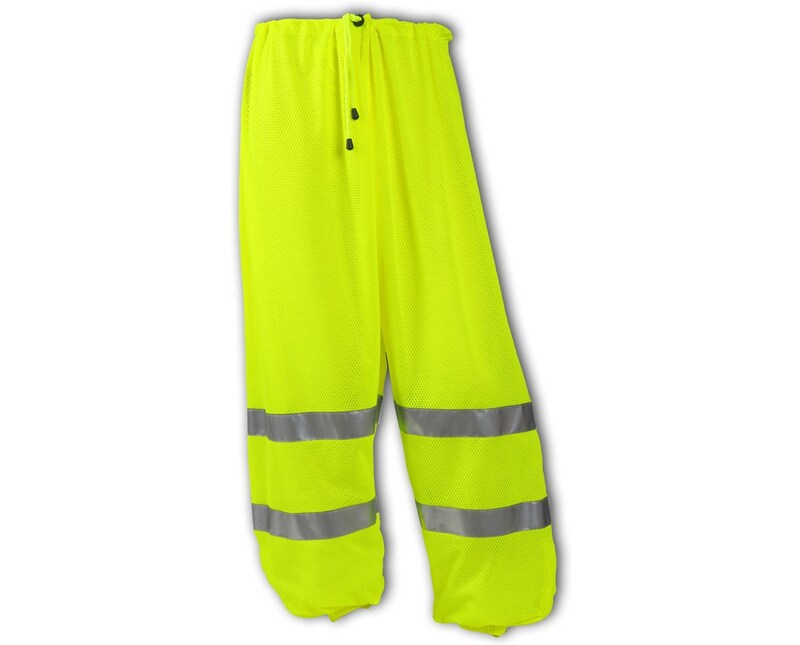 With that said if you're looking for a comfortable high visibility safety mesh pants which will allow you to work at ease, also excellent for warmer temperatures while providing visibility, then this is an excellent option. It’s a comfortable roomy mesh pants that will keep you visible in your work zone. Composed of high density 100% polyester allowing air to pass in warmer temperatures. Includes 2 side pass through openings along with one exterior rear pocket. Elasticized polyester cuffs along with an elasticized polyester waist band, which prevent dirt from entering. Fluorescent yellow - green outer shell with 2” silver reflective tape. Its ANSI 107 class E rating of high visibility provides reflective light for 360° nighttime conspicuity.